At Magdalen House, daily activities are arranged and these are advertised on notices throughout the home. These include residents hobbies including cooking, exercise class, moving to music and a quiz. Residents have use of the modern lounges with flat screen televisions. 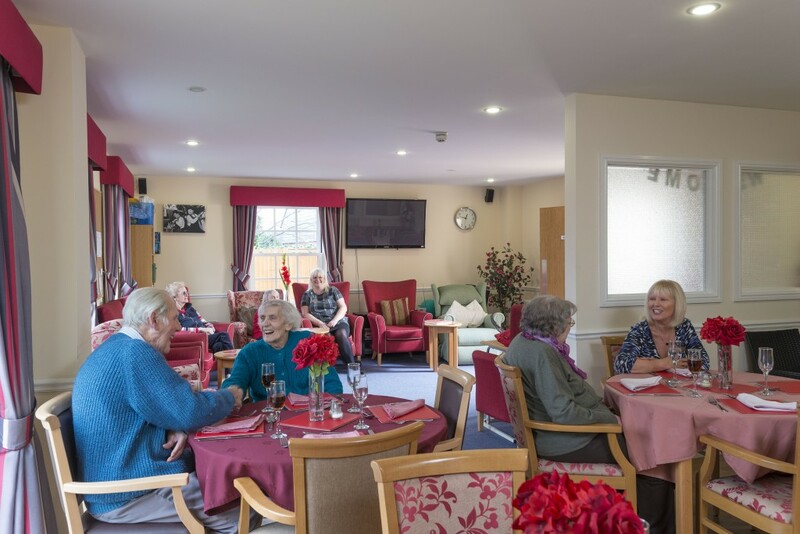 They can also relax in the quiet areas to read, rest or socialise with other residents or join in activities. Events: We have many events held throughout the year, which are advertised well in advance to ensure residents are able to attend. Summer fetes are organised (weather permitting). Gardening: Residents can enjoy the patio and assist in gardening. Coffee mornings: We hold regular coffee mornings to encourage residents to take part in catching up on local news and welcome their views on social events we arrange for them. Cinema room: Regular film shows are also advertised to enjoy in the cinema room. Hairdresser: The hairdresser visits every Tuesday and we have a salon on the top floor. Chiropodist: The chiropodist visits every month but we can make arrangements for immediate appointments. Church services are arranged for those residents who wish to take part. Newsletter: A monthly newsletter is produced to keep them up to date on Magdalen House, residents’ anniversaries and events that are taking place. Visiting hours: We have no set visiting hours at the home and visitors are encouraged to visit whenever it is convenient to them, avoiding mealtimes where possible. Hadleigh is a former wool town and lies on a tributary of the river Stour which is spanned by the Toppesfield Bridge, a medieval 3 arched bridge. The town contains an unusually large number of houses dating from the 17th to the 19th centuries. Local amenities include: Hadleigh Health Centre, Hadleigh Library, Hadleigh High Street, St Marys Church, Hadleigh Swimming Pool and Hadleigh Leisure Centre all within a few minutes walking distance of the home. This unique position allows our more able residents access to Hadleigh’s abundance of cafes, shops, restaurants and services. There are two Boots pharmacies, a Post Office, Co-op supermarket and a doctors’ surgery. If you would like to know how Magdalen House can help you or your family, please get in touch using our contact page.